Come On Zillow, Make Me Move! • Does Zillow's Make Me Move Work? Have you ever seen the "Make Me Move" section on Zillow. It's funny and sad at the same time. 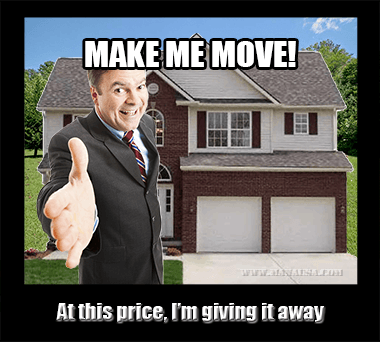 Zillow tells us that "Make Me Move is a free and easy way to tell others the price you'd be willing to sell your home for, without actually putting it on the market. It's that magical number you just can't refuse." Furthermore, whether you want to sell your home or not, everybody has their price, and this Zillow tool is where you tell everybody yours! Today's article is inspired by a very simple question about Zillow's MMM (Make Me Move), but it really is a story about the predictable aspects of human nature. And if you want to get top dollar for your home when it comes time to sell, then you (and especially your real estate marketing team) had better have an excellent grasp of human nature and what it takes to attract multiple qualified buyers to your home. The Zillow Make Me Move home seller is the same every where you go, no matter which real estate market you find yourself browsing through. How do I know this? When we don't know what we want, we hedge our bets. We figure that until we know what we're doing, we'll throw out some "pie in the sky" figure that we know is way more than our home is worth. Buyers do not want to over-pay! But homebuyers are not unique. 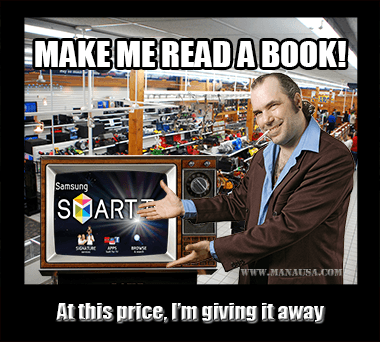 When we go shopping for expensive consumer goods, it's not like we walk into the first store and just pay for the first thing that we see. There is a process that we follow when we spend more than a small amount of money. The process is not necessarily the same for every buyer, but we all must make ourselves comfortable with what we're about to do before we spend a good bit of money. Again, it's human nature. We work hard for our money, and we don't want to just throw it away. When looking at luxury homes for sale, buyers are often online for more than a year before they make their decision. Do you think people who are spending a millions dollars and up are stupid? So why do we see homes over priced on MMM by 25%? 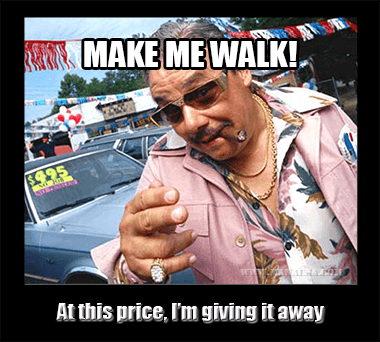 So throwing a high price on something is not likely to procure a sale from that "one fool" who has a lot of money and no plan on how he's going to spend it. Zillow makes its money on real estate agents, and by creating an environment to attract new home sellers, it gives real estate agents a great place to hunt for home sellers. It's like the used car lot with crazy low price tags on some cars, it attracts car buyers like moths to a light. The purpose is not to sell the car, but to attract car buyers to whom other cars can be sold. Rather than generate interest from buyers, it is far more likely that you'll generate a lot of calls from real estate agents wishing to list your home for sale. One thing you need to understand right up front is that the only differences between you and a real estate professional or another “For Sale By Owner” are knowledge and experience. Experience is tough to gain but knowledge is available here. I talk to people regularly that sell on their own. It’s hard work, involves a lot of time, some expenses, and requires a sound plan. This book will help you develop a winning plan and empower you to collect all of the equity in your home. Just tell us where to send it! If you want to try to sell your home on your own, you might want to consider Zillow's Make Me Move. The key is to price your home attractively enough so that ready-buyers notice. There are many things you must do to both sell your home on your own and to make it financially rewarding (meaning you can sell on your own, but if you do so at a discount, what's the benefit, right?). Do not promote your home on Make Me Move without following a smart plan, because timing is also a key component to your achieving top dollar when selling your home. As in all aspects of the marketing plan, it's about creating value in the eyes of prospective buyers. To get the most money when you sell your home, you have to attract multiple buyers (contrary to the concept of "it only takes one buyer") if you want your home to be bid up to its highest market value. 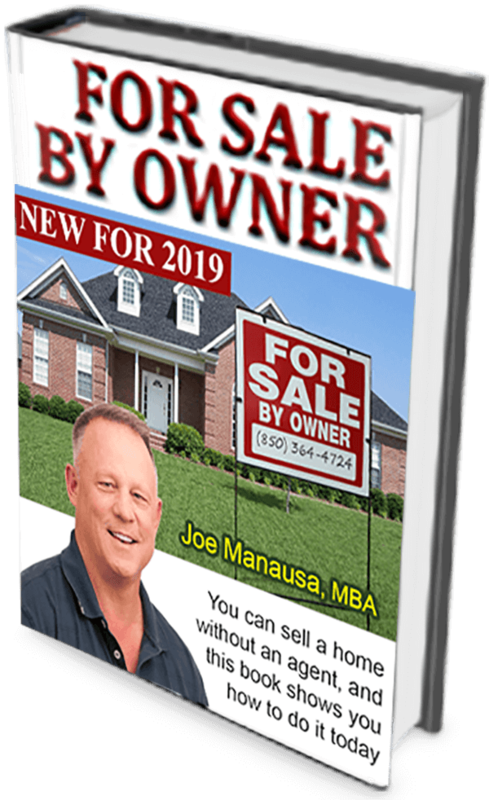 For homeowners who have the time and resources to sell on your own, we have prepared a "For Sale By Owner Handbook" that is available for FREE, no strings attached. 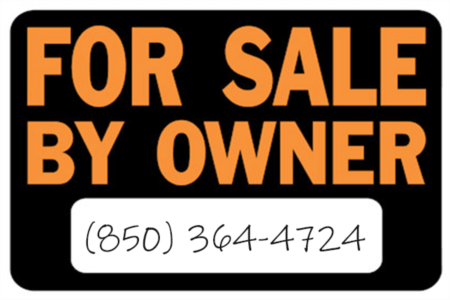 I promise if you follow its guidance, you can sell your home on your own, and get top dollar as well!